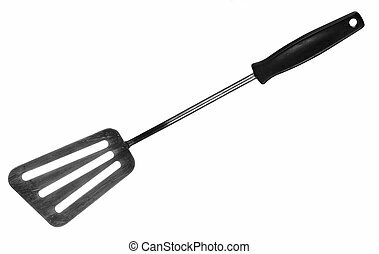 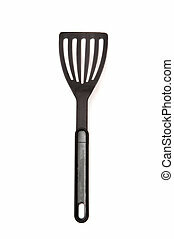 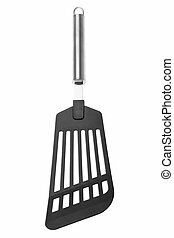 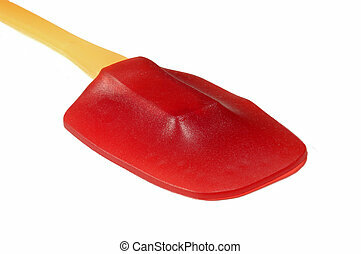 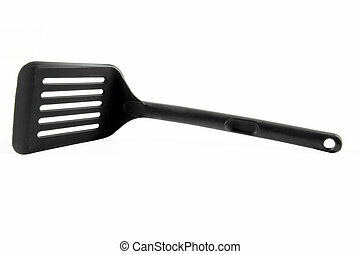 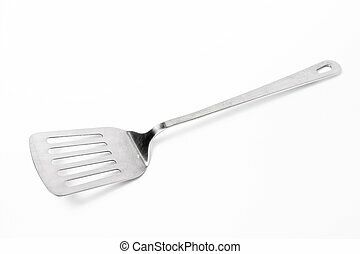 Kitchen spatula. 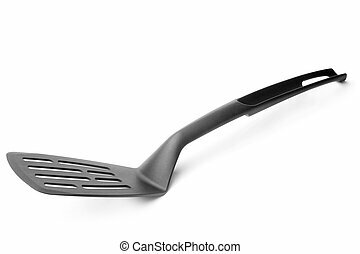 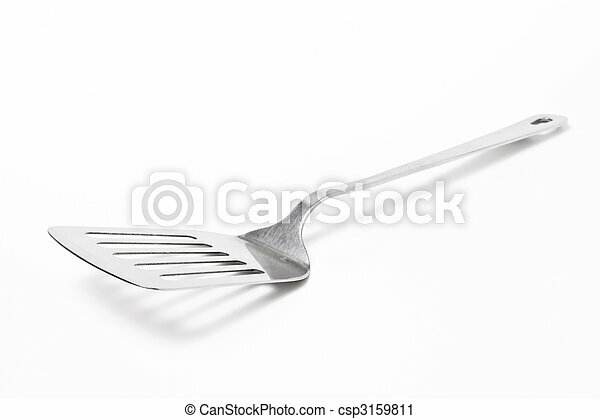 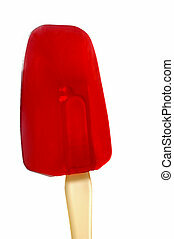 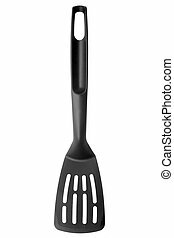 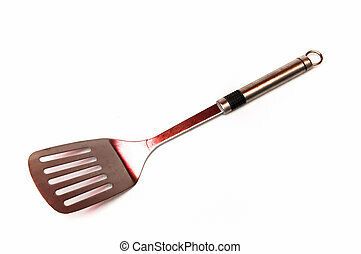 Large stainless steel kitchen spatula isolated against white background. 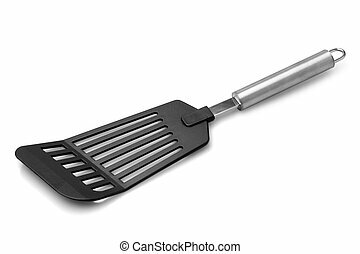 Large Stainless steel Kitchen spatula isolated against white background. 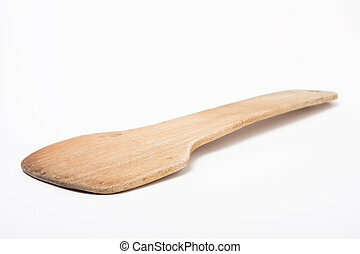 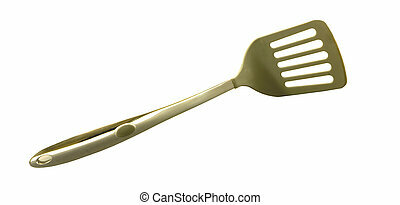 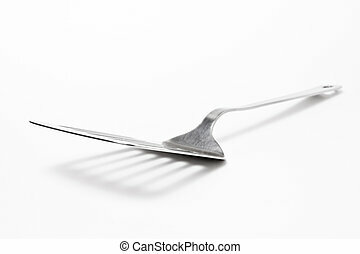 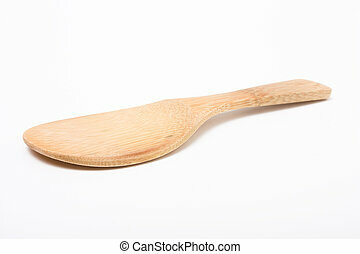 well used wooden kitchen Spatula isolated against white background. 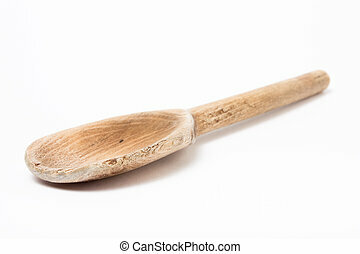 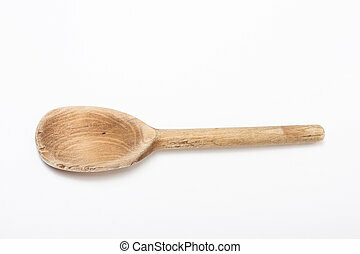 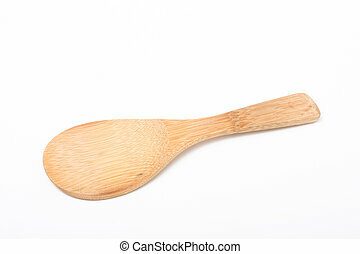 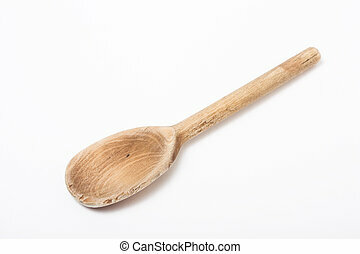 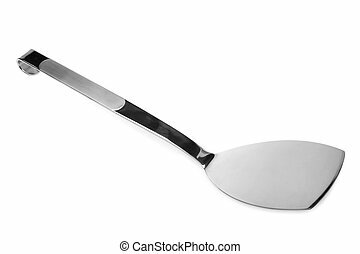 well used wooden kitchen spoon isolated against white background.